October is National Chili Month. With the temperatures starting to feel like fall and football in full swing, it feels like the right month to celebrate the wonderful world of chili to me. For me, the answer is always No Beans, which my son is aligned to. For my husband and my daughter, they generally enjoy the beans. As a result, we always make the beans on the side. After prepping the chili, I will scoop out about 1/2 cup of the chili and add it to the kidney beans in a separate pan and allow all of that to simmer together. There are so many different ways to enjoy chili. The first we like is Cincinnati-style chili. I make a homemade version, but a trip to Skyline Chili, planned or unplanned is always a nice treat. When we make it at home, we enjoy it on pasta and on coney dogs. I also make a more traditional 'soup' style chili using ground meat, diced tomatoes and vegetable juice as my foundation. Sometimes, we will have a chicken chili. For us, oyster crackers and hot sauce are always on the table when we enjoy chili. Another way we like to enjoy our chili is as part of an appetizer. Who can resist the warm cheesy goodness of the classic Chili Cheese Dip with tortillas? - Not I...which usually means I eat more than I planned. Whether you prefer it in a bowl, in a dip, or as a topping, chili is a fabulous comfort food for the fall and winter seasons. That’s why it is perfect that October has been deemed “National Chili Month.” Did you know that Hormel® chili is considered America’s number one canned chili? Prior to 1935, chili was popular only in the Southern, Southwestern and Western regions of the United States. Hormel Foods is responsible for introducing chili to the Midwest as well as introducing new, unique ways to eat and enjoy chili! While many people think chili is best served in a bowl, three-fourths of users actually enjoy chili as a topping, making favorites such as nachos, rice and dips even more fun and delicious. In honor of National Chili Month, Hormel has put together a full menu of suggestions for each meal occasion - breakfast, lunch and dinner - featuring Hormel® chili! * Fiesta Brunch Casserole: This delicious, baked casserole can be prepared in individual tortilla bowls for easy and personalized enjoyment. * Chili Topped Breakfast Burritos: Give your morning an extra kick by topping your breakfast burritos with your favorite variety of Hormel® chili. * Chili Pizza: Put a fun twist on your otherwise ordinary pizza by adding a new and interesting topping; chili! Supplement with your favorite veggies and cheeses. * Taco Soup: This tasty soup boasts the perfect combination of spice and flavor thanks to CHI-CHI’s salsa, Hormel® chili and cheese. * Chili Mac: This easy and hearty meal is a great dish for the whole family and is sure to keep you warm in those fall and winter months. * Chili and Cheese Quesadillas: Top these unique quesadillas with your favorite condiments for a quick dinner dish. I think the one that sounds the most unique and that I think I might include in a menu plan soon is the Chili Pizza (minus the mushrooms please!). It sounds delicious and like something that the family would enjoy. How do you enjoy your chili? Do you have it with or without beans? Wow! Can you believe that this week is already Halloween, the first of November and time to "fall back" and return to early darkness? I am a big fan of fall and recognize that this is all part of enjoying fall, but it just seems to be going so fast. This weekend is my daughter's birthday party and I am busy planning for a Minnie Mouse Themed party, with a yummy turkey and all the fixings for the family meal. I can't wait for the house to be filled with the smell of the turkey roasting and of course, the challenge of making a Minnie Mouse themed cake and cupcakes. We are officially done with fall sports and now we start into swim lessons. I love the quiet of no organized sports - it gives us more time to have real meals and to actually get things done during the week and not just come home and crash in a state of exhaustion. Turkey, Stuffing, Mashed potatoes, Cranberry Applesauce and more! No compensation was received for this post. Information about the show and tickets for the giveaway were provided. All opinions expressed are my own or that of my family. Don’t miss your chance to be dazzled live and in-person by the amazing and electrifying stars of NBC’s #1-rated hit TV show. For eight years running, “America’s Got Talent®” has entertained viewers with its own unique blend of incredible talent and one-of-a-kind performances, in a celebration of the American spirit. With a lineup led by the show’s brand-new Million Dollar Winner, the “America’s Got Talent Live™” stage show features many of the performers and fan favorites who won America’s hearts and received millions of votes from viewers across the country. Be there to experience all the energy and excitement of the blockbuster TV show. 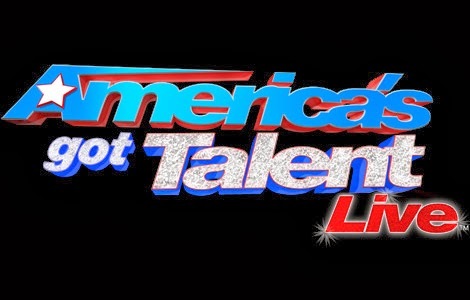 Win Tickets for America’s Got Talent Live - You could win 4 Tickets for America’s Got Talent Live! Giveaway will remain open through October 31st. Giveaway is open to residents of the US only. Winners will be selected through Rafflecopter. The winners will have 24 hours to respond or a new winner will be selected. No compensation was received for this post. A complimentary Advanced Reading Copy was provided to allow me the opportunity to read the book and share about it. All opinions expressed are my own or that of my family. 1. This person is in love with love. They believe in fairy tales and love. Yes, I consider myself a hopeless romantic...I certainly love a good love story. Whether it is a book or a movie, there is just something so appealing to me about a good love story. When I read the synopsis of Forever Friday, by Timothy Lewis, I knew that I simply had to read it. "Every Friday, a Postcard. Every Friday, a Love Poem. Every Friday for Sixty Years." What a neat idea! Could you imagine? How romantic...not to just write a love poem, but to send it on a post card every Friday. The best part, the author drew inspiration for the story from the postcards sent between his great-aunt and great-uncle over a period of sixty years. The story is about Huck and Gabe Alexander. It is a story of how they met and how these soul mates found a love that led to these weekly postcards. It is told from the perspective of Adam Colby, the owner of a small estate-sale business, who came upon the postcard collection during the sale he was conducting of the Alexander's belongings. He pieces together their love story, through the post cards and conversations with Yvette, the daughter of their long time housekeeper. It is their story that he recounts in the book Forever Friday. The story is a great love story, set against sixty years of history, starting in the early twentieth century and ending in the summer of 2006. If you enjoy a good love story, I recommend this book. The author did a great job of developing the characters and telling their love story. Almost as soon as I started the book, I was hooked. I wanted to keep reading to learn more about their adventures. I must confess that I was a little surprised when I realized that it was a male author - I think that this could possibly be the first love story that I read by a man. Now, certainly, some of my favorite authors that are men have included love in their stories, but this book was a love story. The story struck me as one that could someday be made into a movie, one that if it were well done, I would really enjoy. Congratulations to Stephanie! Her entry was selected as the winner of the 4-pack of tickets to see 60's Rock-N-Remember at the Akron Civic Theatre. An e-mail was sent to the winner. Thanks everyone for entering and I will be sharing some additional giveaways soon. What a great weekend! My son didn't have school on Friday, so we took advantage of the opportunity and headed to Kalahari Indoor Waterpark right after school on Thursday and stayed through Friday mid-afternoon. It was nice to get away and have a good time. We ate out way too much, but really , what is your option when you are on vacation with no kitchen? Fazoli's, Dunkin Donuts and Steak 'n Shake were the dining locations of choice for the mini-vacation. We lucked into arriving at Steak 'n Shake for their Happy Hour and enjoyed half-price milk shakes. It was a yummy vacation, although, now I feel like I need to workout twice as long to make up for the additional calories that I consumed. Saturday was my daughter's last soccer game. It was a good game and we wrapped up just before the rains came. With a rainy day at hand, we did some cleaning around the house and then finished the day with some movies. Sunday was my Werther's Original Baking Caramels MommyParty. It was a delicious party, complete with caramel apple tarts, caramel brownies and caramel hot cocoa. Yum! This week is a little quieter, now that we are down to just the playoffs for baseball. It makes it easier from a dinner planning perspective. No compensation was received for this post. I received a Party Kit to allow me to host a Werther's Original Baking Caramels MommyParty, as well as recipes, party ideas, invitations and coupons to share with my guests. All opinions expressed are my own or that of my family. I am not really sure why it is, but sometimes, I have the worst timing when it comes to hosting parties. Whether it is a gathering for a catalog item party or a social gathering just to visit, I either have a couple guests or a houseful. I love to host parties, so my preference is generally to have a houseful, but even though it can be disappointing to only have a few guests, it is still a great time and really gives you a chance to visit with friends. Today, I hosted a Werther's Original Baking Caramels party. It was a chance to try out the new Baking Caramels and share the experience with friends. I already knew that there were several conflicts and that there would be a smaller group of friends (and their families) joining in on the fun. Unfortunately, with several days recently that were rainy, there were several conflicts that arose late due to rescheduling of things and decreased an already small party to an even smaller one. On a positive note, that just meant more treats for the rest of us. In order to share the desserts with more friends, I think I might have to do a bit of an encore party and create and share the treats yet again (if for no other reason that it allows me to enjoy the treats again. I must say, with the way the caramels are wrapped, it was really easy to open them and be ready to make a recipe. Especially, when I compare it to other baking caramels that I have used in the past. The next dessert that I tackled was a Caramel Apple Tart. This recipe uses a frozen puff pastry and some apples to make a great dessert, especially when served ala mode. You can find the Caramel Apple Tart recipe here. I set out the treats on the counter, along with the Halloween pumpkins that are awaiting decorating and left the cocoa on the stove on low. I had planned to make a few other recipes, but as the attendee list shrunk, I decided that too much of a good thing meant that there would be more left for me to eat. I think that I would like to use them to make some caramel chocolate chip cookies and I saw some really delicious recipes on the Werther's website. I also think I will use them in some of my favorite recipes this holiday season - treats like Sea Salt Caramel Chocolate Shortbread Bars or Caramel Tassies. What is your favorite recipe using caramels? Have you tried Werther's Original Baking Caramels? Know someone that makes a difference in others lives simply for the joy that it gives them? Cooking Planit invites you to share a personal story about someone you know who gives their time, energy and/or love in the spirit of helping others without thinking of themselves and both you and your hidden hero could win up to $250 in cash + one grand prize winner will get to choose a local charity to which Cooking Planit will donate $1000. You can find the full terms and share your story on the Cooking Planit Blog or on their Facebook page. • The 1st place winner will also get the opportunity to select a local charity to which Cooking Planit will donate $1000. • In addition, if you wish to share feedback with us about Cooking Planit or other customer service issues, do not submit this feedback through the Cooking Planit Stories platform. Instead, contact us directly. • Enjoy writing your story! No compensation was received for this post. The information about the event was provided through Cooking Planit. All opinions expressed are my own or that of my family. No compensation was received for this post. I received a complimentary set of tickets to attend the show from the Akron Civic and they provided information and the tickets for the giveaway. All opinions expressed are entirely my own or that of my family. 60's Rock -N- Remember featuring Herman's Hermit's starring Peter Noone, Gary Puckett and The Union Gap and Dennis Tufano, original voice of The Buckinghams. Peter Noone is a multi-talented entertainer, who has been delighting audiences nearly all his life. At the age of fifteen, Peter achieved international fame as “Herman”, lead singer of the legendary Sixties pop band Herman’s Hermits. His classic hits included: “I’m Into Something Good” “Mrs. Brown, you’ve Got A Lovely Daughter”, “I’m Henry VIII, I Am”, “Silhouettes”, “Can’t You Hear My Heartbeat”, “Just A Little Bit Better”, “Wonderful World”, “There’s A Kind of Hush”, “A Must To Avoid”, “Listen People”, “The End of the World” and “Dandy”. Ultimately, Herman’s Hermits sold over sixty million recordings. In all, fourteen singles and seven albums went gold. The Hermits were twice named Cashbox’s “Entertainer of the Year”. Gary Puckett & The Union Gap was an American pop rock group operating in the late 1960s. Their biggest hits were "Woman, Woman," "Young Girl," and "Lady Willpower." "THIS GIRL IS A WOMAN NOW"
Dennis Tufano is the original lead singer of the 1960s rock group The Buckinghams, and has been a solo performer since the early 1980s. 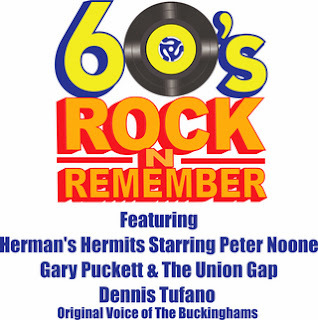 Courtesy of Akron Civic Theatre, I am able to give away to one A Busy Mom of Two reader a 4-pk of tickets to 60's Rock-N-Remember. Giveaway will remain open through October 20th. Giveaway is open to residents of the US only. Winners will be selected through Rafflecopter. The winners will have 24 hours to respond or a new winner will be selected. * no compensation was received for this post. I was provided information about the new fall menu and some coupons to check out the featured items. All opinions expressed are my own or that of my family. I think I can comfortably say that fall is one of my favorite seasons. Not only does my birthday occur in the fall, but there are so many things that I love about the fall. I love the crispness of the air, the crackle of the leaves beneath your feet, the fun of bonfires and hayrides, and especially, the tastes of fall. 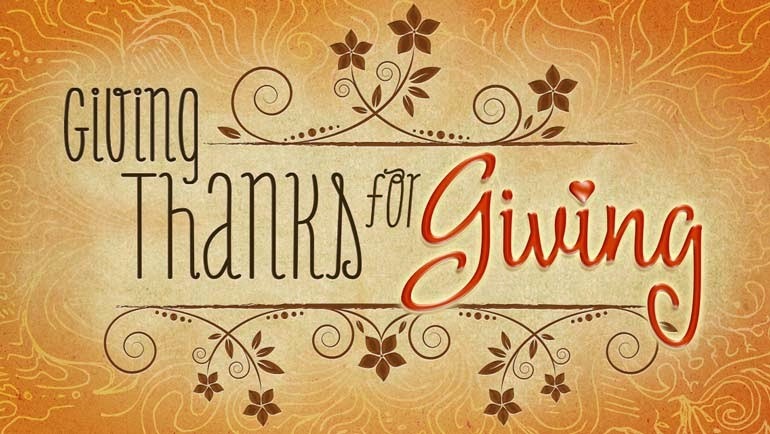 For me the tastes of fall include apple, pumpkin, candy corn and of course, all of the fixings for Thanksgiving. The fall also brings the coolness necessary to really start cooking again - chilis, roasts, desserts...as much as I love grilling and the fresh fruits and vegetables of summer, there is something really comforting about the foods of fall. Bruegger’s Bagels introduced their new fall menu last month "and it full of all our fall favorites along with some great new flavors. Bruegger’s Bagels summer Sriracha Egg sandwich received such rave reviews that it is now available on the permanent menu. In keeping with on trend flavors, Bruegger’s Bagels introduces the Chimi-Cheddar Egg Sandwich, featuring chimichurri sauce. The Chimi-Cheddar Egg Sandwich uses the traditional Argentinian sauce to spice up Bruegger’s Bagels’ classic egg, bacon and cheddar sandwich and is served on a plain bagel. You will also be delighted to see the return of cool weather favorites, the Pumpkin Bagel, Pumpkin Cream Cheese and Pumpkin Spiced Coffee. Last year everyone so enjoyed the Cranberry Apple Bagel that it too makes a return to the fall menu. [You] can order their pumpkin favorites until Nov. 27. The Cranberry Apple Bagel and other featured menu items will be available until January 2014." I enjoyed my sandwich with a cup of Pumpkin Spiced coffee. I was never a big coffee drinker until a few years ago - I had survived college, my first job, and two children without developing an interest or taste in coffee - but when I changed departments at work, meeting my old group for coffee breaks became a social activity and I slowly started to actually have coffee on the coffee breaks. Now that I enjoy coffee, one of my favorites is Pumpkin Spiced coffee, and their brew did not disappoint. We also grabbed some bagels to go - Blueberry for the kids and Pumpkin for my husband and I. I enjoyed mine with a little bit of honey butter and it was delish, I had considered toasting it, but I love the chewiness of their bagels and decided to not warm it up. We have some soccer games next week near a Bruegger's Bagels and I think I might just have to swing by for a bagel and coffee snack for the game. What are your favorite fall flavors? No compensation was received for this post. I was provided information about the new fall menu and some coupons to check out the featured items. All opinions expressed are my own or that of my family. Congratulations to the winner. An e-mail has been sent to the winner. 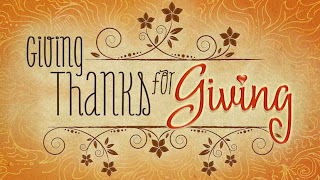 Thanks everyone for entering and be sure to watch for new giveaways coming soon. An e-mail has been sent to the winner. Thanks everyone for entering and be sure to watch for some new giveaways coming soon. There are a few things that I want to pick up this week at CVS. Unfortunately, I didn't make it there last week and am bummed, because they had the multi-vitamins on a great ECB offer that I totally missed out on. Total of $7.70 OOP, earn $3 ECB. Makes each body wash $1.57. Total $4, pay with $3 ECBs and $1 OOP, earn $1 ECB. Total $.99, pay with $1 ECB adjusted down. Earn $2 ECBs. Total $2.99, pay with $2 ECB and $0.99 OOP. Earn $2 ECBs. My daughter loves toothbrushes, so this is a great deal. Total $1.98, pay with $2 ECB adjusted down. For the trip, the total OOP is $9.69 for about $29 in product at sale prices. A savings of over 65%. Total $.99 OOP, earn $2 ECBs. Total $4, pay with $2 ECBs and $2 OOP, earn $1 ECB. Total $0.99, pay with $1 ECB adjusted down. For the visit, you would have paid $2.99 OOP for about $14 in product at sale prices, a savings of about 78%. You can find more $5 scenarios at the CVS $5 Challenge. What deals will you pick up at CVS this week? This post shared at Deal Seeking Mom and Money Saving Mom. The story, Made to Last, is told from two perspectives, Miranda "Randi" Woodruff and Matthew Knox. Randi is the host of a home building show called From the Ground Up, who lives in the mountains near Asheville. Matthew Knox is a reporter that lives in Minneapolis, near his brother and family. During the recording of her first season of her new show, Randi would often times talk about her husband and the influence he has had on her. It wasn't completely true, but was not something she worried about, since by the time the shows aired it would be the truth. Three years later, her small lie had snowballed out of control. Her show was at risk of being cancelled and they wanted her to 'produce' her husband in a publicity move that they hoped would save her show. Blaze was working for a catering company and happened to be on the set at the right time, and bared a resemblance to Randi's former fiance from afar. He is hired to play her husband and moves in at her cabin in the mountains. Matthew was a reporter that was down on his luck. We first meet him when he was chasing what he thought was the story, only to miss the real story at an event at the zoo. Reluctantly, in an effort to help pay for his niece's surgery, he agrees to take on an assignment, writing a blog about Randi and her show. Part of the coverage includes staying at the guest cabin at her house. The story that unfolds is entertaining, even if slightly unbelievable. One of my favorite lines is when Blaze comments that she is caught up not in a love triangle, but a square, when her former fiance suddenly arrives on the scene. I wish I could find the quote, to do it justice, but alas, I can not. As the story progresses, we learn more and more about the secrets and mysteries of their past that Randi and Matthew each have. Events and things that have defined who they are and continue to influence their decisions. The book is romantic, funny, and even deals with some real issues like insecurities. I think it is always nice when the characters in a story are not perfect, when they have characteristics that we can all relate to. I mean really, who doesn't suffer from insecurity or at least occasionally question the decisions they make or the actions that they take, we all do. There are questions unanswered about Blaze, about Liv and Brad and what lies ahead for Randi and for Matthew. Seems to me like there are a few springboards for future books. If you are looking for a fun, romantic story, then I would recommend Made to Last. The winner for the $50 Sunoco Gift Card has been selected. Thanks everyone for entering and watch for more giveaways, coming soon. Congratulations to Heather! Her entry was selected as the winner of the DelMonte Fruit Bursts Prize Pack.